Aging is real, and you are aging every single second. By the time you read this you are already 5 minutes aged than the moment you started reading this blog. With adding years to your age; age spots, fine lines, wrinkles, and freckles begin to appear on your face. But here is the way so that you can age gracefully. 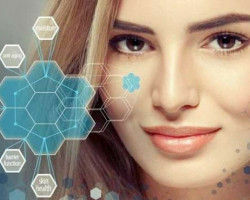 You don't need makeover products all the time to make your skin beautiful, just switch to a smart lifestyle and practice a skincare routine religiously. You really need to take care of your skin inside out. As it will impact on how your skin will be in your late 30s. 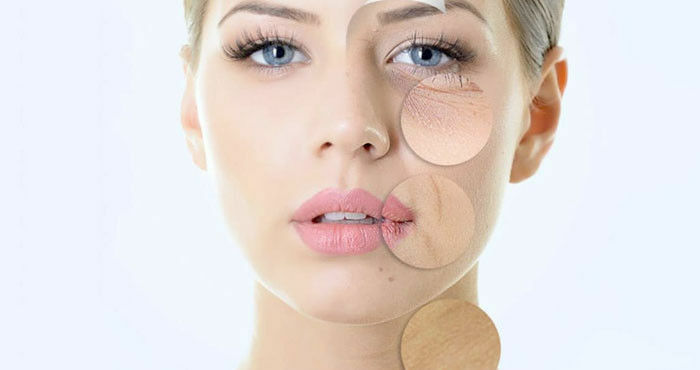 Skin loses moisture and it starts looking drier as you age, making it wrinkled. Moisturization helps you to lock in the hydration. Look for the wonder ingredient 'Hyaluronic Acid' in your skincare products which has remarkable ability to retain moisture, it can hold up to 1000 times its weight in water and makes your skin youthful. It's time to age smart. 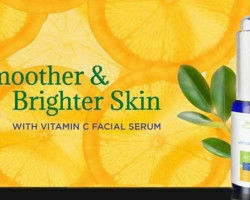 Topical Vitamin C is as important as oral Vitamin C for preventing wrinkles. It helps to make your skin look visibly better, healthier and brighter by stimulating the collagen and elastin synthesis. 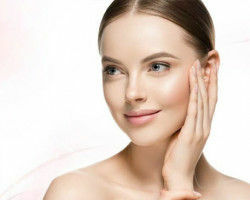 - To keep skin radiant, healthier, youthful and happy, include more vitamin E (helps in skin regeneration), vitamin C (boosts collagen reformation) and antioxidants (fight free radicals from breaking down the skin's elastin and collagen). - Pack on the protein- Protein helps to build and maintain muscle mass, which we tend to lose as we age. - Broccoli detoxifies, and carrot is a rich source of Beta-carotene, these both keep skin healthy. - Super-healthy skin with Omega-3 fatty acids- promote smoother, younger-looking skin by reducing inflammatory skin conditions like acne. 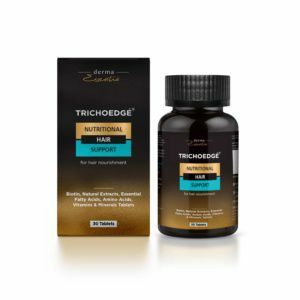 - Fruits and vegetables high in flavonoids and carotenoids–two powerful antioxidants–help remove free radicals from your skin and body that cause premature aging. Follow healthy patterns of eating that can do wonders for your entire body. It not only help you lose weight, live longer and feel fitter, it can also help you look younger. - Drink plenty of water that helps in flushing out the toxins off your body. 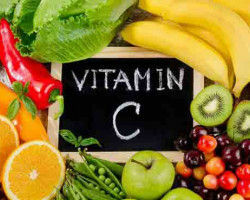 And besides sipping water, you can include more water in your daily diet by adding certain fruits and vegetable juices. - Green tea with overall anti-aging properties is another fantastic way to fight to age. 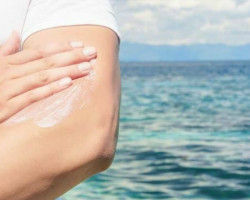 Exposure to harmful sun rays can speed up the rate of collagen breakdown and make the skin age faster. 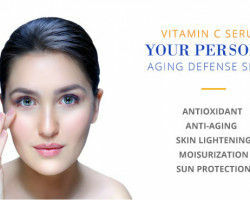 It may lead to pigmentation, age spots, fine lines and wrinkles appearing early in life. So, you must always wear a broad- spectrum sunscreen gel with high SPF that protects from UVA, UVB, IR rays and urban pollution. Apply it religiously on all exposed parts, at least 20 minutes before your outdoor activities. Either rain or shine, every season, wearing sunscreen is the best anti-aging thing you can do for your skin. Exfoliating is a go-to skincare strategy for sloughing off dead skin and revealing a smoother complexion underneath—but it’s important to make sure you’re not aggravating your face in the process. Too much exfoliation is counterproductive. Stress causes cells to age faster, which ultimately shows on your skin in the form of fine lines, wrinkles, and sagging skin. You need to manage your stress by finding peace in meditation, practicing yoga and other activities that help in the production of essential happy-feeling hormones that rejuvenate the body cells. Beauty sleep of 8 hours is another super important step in your skincare routine as it also helps to manage your stress and allow the body to regenerate. If you feel younger, you will look younger. According to research, regular workouts help with this, slowing the skin aging process. Exercise is excellent to fight sagging skin as it tones the muscles and also boosts the blood circulation in the body.